I am a mid-feed station point at regular 5034events throughout the year. The Good Friday sportive was a great success with perfect weather conditions. 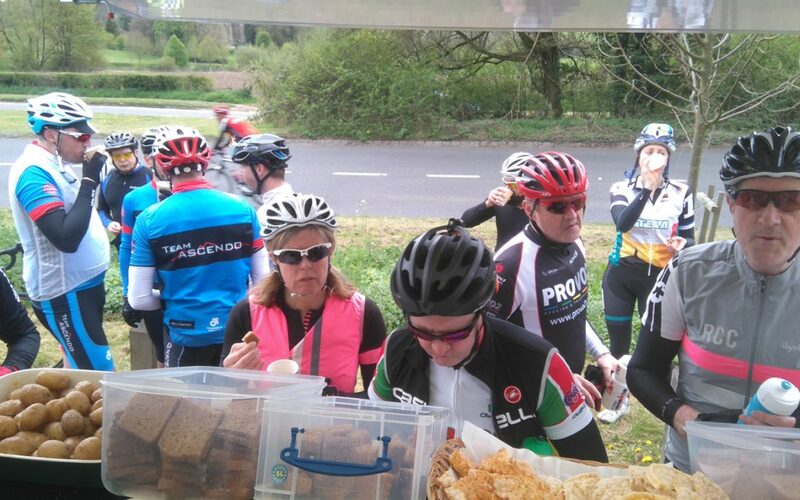 We had rave reviews about the food from the 130 cyclists that took part in the 70 mile ride. The salted new potatoes go down a treat as do the home-baked flapjacks. I bring good quality carbohydrate-rich foods to ‘grab & go’; just what a sportive cyclist needs.